Sandy • As the controversial calls  and non-calls  in Major League Soccer continue to stack higher and higher each weekend, questions are increasingly being asked about whether league would benefit from implementing instant replay. During an interview last week with a group of sports editors and reporters from around the nation, MLS Commissioner Don Garber said the league has discussed the idea of testing replay. A day prior, U.S. men&apos;s national team coach Jurgen Klinsmann voiced his support for in-game decisions by referees being reviewed. During two prime time matches on Sunday, MLS officiating again went under the microscope when two obvious penalty calls were missed. When Sporting Kansas City&apos;s Dom Dwyer was fouled in the box from behind by San Jose&apos;s Andre Imperiale, referee Jair Marrufo and his crew missed the call. Later that day, Orlando City&apos;s Cyle Larin beat two New York Red Bull defenders to a ball before being scissor-kicked from behind by Karl Ouimette. Once again, no call. Referee Hilario Grajeda and his crew missed another obvious foul and penalty kick. "These are game-changing calls and if we can get those right, I think it&apos;d be a great thing for the league," said RSL coach Jeff Cassar, who would support instant replay if the league began using it. 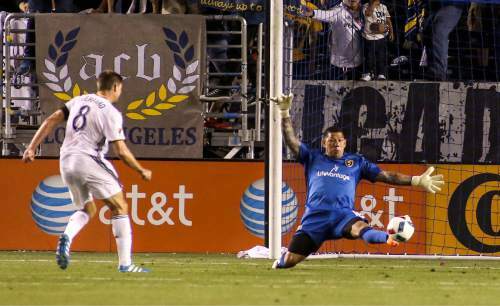 Cassar said video replay of game-changing calls that result in penalty kicks or red cards could go some distance toward taking the pressure off of officiating crews. 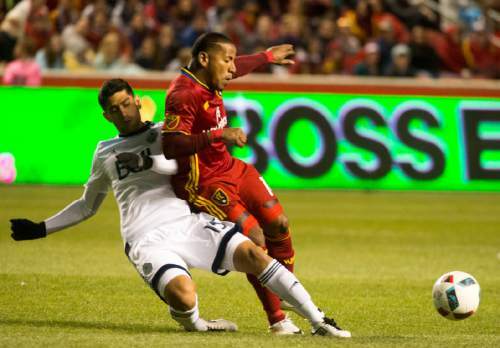 RSL defender Tony Beltran said he would support video replay as long as it doesn&apos;t slow the game. Beltran pointed to the penalty call in RSL&apos;s 2-1 win at Sporting KC on April 2 when John Stertzer was whistled for a foul and a penalty was given. Problem was, Stertzer&apos;s foul was outside the box. "Obviously soccer&apos;s been played a long time and if you change a rule as substantial as that, it&apos;s a big deal," Beltran said. "We&apos;ll see what happens." 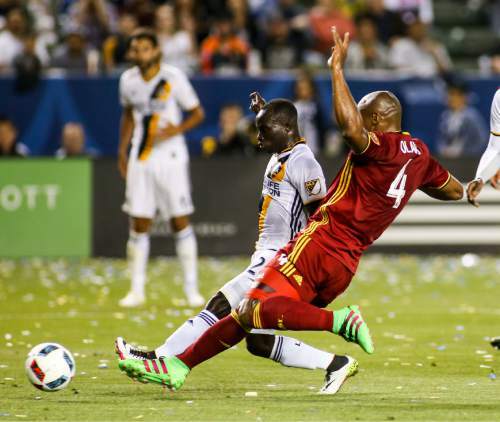 RSL captain Kyle Beckerman said MLS could benefit by taking the risk of a video replay system. "We all as humans make mistakes," he said, "and if we have of a way to correct it, why not try it?" Javier Morales and Sunday Stephen trained fully on Tuesday and are expected to be available to start Saturday against the Houston Dynamo. Morales was a halftime sub in RSL&apos;s 5-2 loss at L.A. over the weekend and scored his first goal of the year via penalty kick in the 71st minute. "Sunny" has missed RSL&apos;s last two matches due to an ankle sprain suffered on April 9 against Colorado. Cassar said Joao Plata (hip flexor strain) and Burrito Martinez (quadriceps strain) are improving, but did not train Tuesday. MLS to the Motor City? Detroit Pistons owner Tom Gores and Cleveland Cavalier owner Dan Gilbert announced a partnership Tuesday Tuesday to form an investor group to possibly bring an MLS expansion team to downtown Detroit. Garber included Detroit as a potential city of interest last week when he said MLS will grow to 28 teams. Cassar, who grew up in Michigan, thinks a Detroit-based team would be a great add to the league. "I think you&apos;d get some really good rivalries in the Midwest, and I sure hope they get a team," Cassar said. "They deserve it."